When comparing gambling & sports investing more than 90% of people get these two confused. Most people assume they are both the same and in fact they are the exact opposite! A gambler is someone who will NEVER EVER make money long term, no matter what they do. They might get on a roll and make some fast cash but at the end of the day, if they don’t stop they will lose everything they made and some of their own money as well. An investor is someone who invests in sports everyday of their life but with much lower stakes involved so they can profit over the long term. I will explain both views as I have personally been on both sides of the fence on my long journey becoming a professional sports investor by using formulas mathematically to beat the books year in and year out! A gambler’s mentality will never make it in the sports industry! It is the reason why Las Vegas lights shine so bright and it’s why gambling is a 400 billion dollar business yearly. Individuals that gamble can never let go of their last lost, so their mindset is always focused on the chase! No matter what they win, they want to win more and win they lose, they want to win back what they lost! When a gambler is on a hot streak, they feel unstoppable, until that one bad beat or sour ending to a game. Then the chase begins and every time after this happens, naturally the gambler will spiral downwards because of their mindset. This always ends in a disaster! This is huge in our world, people are losing lives and loved ones over the addiction to gamble all the time. We shouldn’t take such matters so lightly, if you haven’t been there you may not understand but it’s a pain that is unexplainable especially for the outside viewers. I suggest to those who never been there to never gamble and the ones who are there to stop gambling so they never have to go down the dark path and feel the miserable feelings that come along with it. No matter how much you win gambling it’s never enough, so at the end of the day you are guaranteed to lose no matter what you think. So I advise you to either INVEST or just DON’T GAMBLE at all because you can’t and won’t be a successful gambler. Take it from someone who knows all the ins and outs of the industry. I don’t care who you are or how good you think you can handicap games, you will NEVER WIN GAMBLING LONG TERM! An investor is someone who invest in sports 365 days a year but with much lower risks involved. They have a set bankroll and a money management formula to follow in order to trade on games. This is a long term process and isn’t a way to make fast cash. The reason why Vegas, offshore sports books and even your local bookies make so much money is because people love to gamble and have no idea how to invest! Investing is a full time job and a career to anyone that takes it serious enough. It takes hours and hours of research to be able to invest on games. Put that with patience, discipline and a strong mindset and you can invest and never have to work again! And even for those that don’t want to make a career out of it but want to make extra cash, it can be done investing with a money management formula of some sort. The minute you sway away from investing to gamble, your mindset will change and you will eventually lose all of your money! Investing is a slow and steady path to success, just have to have the patience and discipline it takes to make it in this industry. You can still enjoy all the games and have the same excitement you once did gambling but with low risk and high reward in the long run and most importantly without having the risk it all outcome! If you never understood the difference between investing and gambling hopefully by reading this blog you were able to see the vast differences between the two. If you are a gambler, I encourage you to become an investor or just STOP GAMBLING! See most people out there would encourage you to gamble because the more money you place on a game, the more their service will make off you. Let’s face it, over 90% of the sports services out there don’t care about you, they just want to make money. Greed is killing this world and this industry. Sports handicappers are a dime a dozen these days, but most of them are scams and people lying to you. I was a gambler for 9 years of my life, made A LOT of money doing it, but lost EVEN MORE in the long run! I didn’t lose money because I lost more games than I won, I lost money chasing after the bad ending to a game or trying to double my money after the big win. Take it from me, it does not work. No matter how you try to gamble or what hot streak you are on, it will always end in a miserable dark clouded feeling. If you want to be successful with sports the only way to do it is to invest. So I’m sure I ruined some people’s dreams today that there is no get rich quick scheme with sports, unless of course you bet all you got on that strong solid play and it cashes and you never bet again. But let’s face it, that’s not what this world is doing. So stop throwing your hard earned money away and listening to all the bs that most people will tell you just to make a dollar off you. I can promise you one thing, Fixededge is as transparent as you will ever find in this industry. I will always tell you the truth good or bad, and whether we have a winning or losing day you will always be able to reach us. We stand by everything we put out there 100%. So I encourage everyone to join this movement and “INVEST WITH THE BEST” but even if you don’t want to do that, STOP GAMBLING and start investing on your own with some kind of money management formula. At the end of the day, you will thank me for leading you in the right direction and saving you a lot of money, time and aggravation. Don’t let anyone scam you or try to tell you anything different Because GAMBLING IS NOT THE WAY to success in this industry! Why do so many people fail while trying to become a sports investor? Many people just jump in thinking that it will be a quick way to make money. It is definitely not. Some will come in betting on games without a system, or mathematical formula to tier their games when necessary. I will continue to teach everyone how to be successful in sports investment. I am confident that those who want it badly enough to put in hard work with discipline on the front end will succeed. Before you ever bet your first wager, you must paper trail. Why? First of all, when someone gives you picks you should never just inherently trust them from day one. This is for everyone – myself included. If they are your own picks, write them on paper and see how it goes. It will not hurt you, it may actually help you to become a successful sports investor. Paper trailing is one of the most important steps – if not the most important step to success while investing. It is often the one step that is skipped throughout the process of becoming a successful investor. This is most likely due to the simple fact that everyone wishes to start making money immediately. Be sure to take the time to stop, and have patience. Your time will come. Through paper trailing, you can work on your money management, discipline and mindset. These three keys along with a successful system (which you will obtain while paper trailing) will lead you on your way to becoming a successful sports investor. Once you can do it successfully on paper, you will be ready to start investing. Do not make the mistake that most gamblers do and become too over-confident to paper trail. This is one of the biggest mistakes made when investing! Learning the process of how to sports invest is easy, but actually becoming a sports investor is the exact opposite! There are very few of us in this world, because of that. I am often asked, “How can I do what you do with sports?” or “Can I just give you my money, and you make more for me?” The answer is that you can do exactly what I’m doing by following a couple of steps, but it will not come easily! The first and most important step to being a sports investor is DISCIPLINE! You have to practice discipline in life, and the same applies to sports investing. Sports investing within the bounds of discipline means that you must have a system. Whether this means you create your own system, or use one of a sports investor’s – it is the most important step. Without a system, you are just gambling. You should know by now that the house always wins in the long run, or they would not be so eager to take everyone’s wagers! Discard the belief that you either “win or lose.” Gambling is a billion dollar industry. In other words, they are making money and the large majority of people gambling are NOT! The second step you need to take in order to be a successful sports investor is mastering money management. If you speak with anyone who is a successful sports investor, you will hear a lot about this. This step only works if you have already taken the step of having a system that you are disciplined to abide by. Money management is a huge part of my success with FixedEdge! Learn how to “invest with the best” and the money management systems needed for successful sports investing. These are important steps because gambling RUINS lives! Our goal at FixedEdge is not to get people that do not already bet to sports invest, but rather to change the mentality of the people gambling, and show them how to start investing! The key is to eliminate gambling by finding a SYSTEM! So whether you use any of the systems I use or one of your own – you must use MONEY MANAGEMENT and DISCIPLINE first, in order to sports invest successfully. What’s The Difference Between a Sports Investor and a Sports Handicapper? Have you ever gotten an email or a phone call with a guaranteed winner? Asked how much money can you get on this big play? Promises after promises that never get delivered. Well guys that is what we call a “tout.” Someone who pretends to be a sports handicapper, but really does not bet the games he gives you – even the guaranteed ones! Some even go so far as to give 50% of their clients one side and 50% the other side. This way he is guaranteed money. This is why it is important to know who you are dealing with. These are scams, and if it sounds too good to be true it probably is! Those are just a few of the differences between the “tout” and the successful sports investor. This explains things that you may have wondered such as why these so called “sports handicappers” needed to sell those guaranteed winners and that’s because they aren’t true sports handicappers. The reality behind that is: If I had some “could not lose games” I could just bet all the money I had myself, take out a second mortgage on the house, etc. Who would care when we could put it back in the morning after that guaranteed win, right? It NEVER works that way! If you invest, then you must know the difference between winning, losing, and how one must accept the results. We so often get caught up in always trying to win, that we forget what it is like to lose. When one loss comes in a horrific fashion, and makes us sick to our stomachs ­most of the industry tends to let that one game dictate their approach to investing! The differences of winning and losing a game are so small, yet can be such a big distraction unless we learn how to accept our results. We all say we know how to win, but do we really? I have seen some people have win after win, and start to believe they are so hot with their picks they could not possibly lose. Then it happens. They lose that one game that they should not have even put money on. You see, a hundred dollar bettor might hit 10 games in a row and be up one thousand dollars here. He begins to think he is on a great roll (rightfully so) but that doesn’t mean he should not plan to lose. What inevitably happens is that once he hits 10 games straight, and is up a thousand dollars, he decides to up his bet to say $500, loses, and I can promise you without the right mindset he will lose the other $500, along with possibly more of his own money. Why is this you ask? It has nothing to do with your picks and everything to do with your mindset. This is where most people fail in sports investing and this is why we only have a select few investing in this industry! When it comes to losing, obviously it is not something that feels good in any circumstance, unfortunately this is part of the game. We must learn how to lose, and how to accept it before we can truly be a professional sports investor. Have you ever heard someone tell you that you must fail before you succeed? Well, that is one of the most important statements that one can share and it applies in our everyday life and also sports investing. Think about this: the games that we seem to remember are either good winners with that unbelievable ending, or the one that lost, and how it lost. The one we tend to think only happens to us; Or when we did not even play, but we remember we would have won 2­0 without counting the other games that lost because our mind chose not to remember the losers. This happens all the time and to everyone ­so don’t think you are alone in this. You must have a strong mindset to overcome this in order to be successful when investing. When we lose, we quickly think of all of the bad things that took place. Suddenly, we have a dark cloud over us trying to figure out how to win our money back. If it was a lot of money, we soon start sweating it out, our stomach gets that familiar ache. Ever been there? I know we all have. The only way to overcome this: You MUST treat every game as one in the same. Never allow yourself to get too high or low on an outcome, and NEVER invest outside your financial means in an attempt to win again, or to right a loss! Learning how to win and lose always gets taken too lightly on the road to becoming a successful investor. Most people fail at this because they are not equipped with the right mindset when investing. Whether you win or lose, you have to go on to the next game like clock work. You should not let the outcome of any game determine your mindset when investing. Win with the best of them, but also learn to accept losing as part of the process. The outcome of your pick should never determine how you approach the next game! It should not determine the amount you put on the next game, or even how you pick it. That is where we go wrong and that is why Vegas laughs all the way to the bank. Retrain your brain to learn how to fail and accept losing. I say that bluntly in an effort to help you understand that although this seems simplistic ­ it is a key turn that people miss on the road to successful investment. Once you have mastered the art of losing, you will steadily trend toward becoming a successful investor. What most people fail to realize in sports investing is how important it is to be mentally focused! Part of this focus means that you have to learn to be good at winning, but you must be even BETTER at losing. What do I mean? Well, when a gambler goes out and wins a bet or two – he starts to feel like he is on top of the world. For instance, our hypothetical gambler won $2,000. Over his next handful of wagers he loses that $2,000. First and foremost, he will forget the high horse he was on, and start to feel like a loser. He will get desperate to win again, and be back on top. This will lead to even more devastating choices, as he will most likely lose more money, until he can’t afford to pay or play anymore. This is where discipline must come in! In the previously described scenario, we are speaking about a gambler who chooses to give back a portion of his winnings to gamble for more. Why? When he loses the money that he previously won, he feels as though he hasn’t broken even. This mentality and lack of discipline is a HUGE reason why the lights stay so bright in Vegas, and why gambling is a multi-billion dollar industry. Discipline is one of the tougher practices to master for most when transitioning from gambling to investing. It was definitely a long process for me, but one of the most important steps to be successful in anything you want to do in life. There are tons of online gambling sites that offer a wide range of online casino games like poker or blackjack https://www.topnewcasinos.co.uk/real-money-casinos. Being that discipline is such an important quality, I would go so far as to say that if you do not yet have it – work on that first before you invest one penny. One way to practice discipline before you start investing is paper-trailing. Paper trailing is when you take all of your investments (whether they are your own or from another investor) and write them on paper just as you would bet them, but only on paper until you have mastered it. I have always been a big believer in paper trailing as a system for anyone in the beginning of investments no matter where you get your information from to invest. Paper trailing is an easy way to learn how to invest with NO RISK. Continue to paper trail until you are confident, and disciplined enough to put your plan to the test and investment. Again, my goal is to create a movement big enough to reach anyone out there who is stuck in the fruitless, and endless cycle of gambling and retrain their habits toward a mentality of investment. I would love nothing more than to see everyone kill the book, but most importantly STOP GAMBLING and learn how to invest. It took lots of time and money to gather important comprehensive information and create formulas & systems for me to put to use to become a successful investor. One thing I’m unable to provide is discipline. That is one key tool for successful investing that has to come from within. Once you have that with the right mindset and the right plan in place (system) – your on your way to a huge success with sports investing. Think of sports investing as a race, it is not a quick gambling sprint but a long term investing marathon. So pace yourself to your speed as we all have different financial needs. Everyone’s bankroll (amount you have invest/not needed for bills) are different sizes, therefore everyone can’t afford to risk/win the same amount. Remember to paper trail until you see success on paper and you feel your disciplined enough. Then just have some patience and watch your bankroll grow and grow! Becoming a professional sports investor is challenging. If it was not, everyone would be doing it. If you focus on these FOUR KEY PARTS, you will be a successful investor. The four key steps are money management, discipline, mindset and of course a successful system to follow! Those are in no particular order. For me, the most integral part of my investment success was my mindset. Others might be stronger in that aspect, but fail to have a winning system. I will explain to you why each key is important, and how to use them to learn how to be more successful while sports investing. Money management is the first key. I always tell people (especially in the beginning) that sports investment is not about how much you want to make, it is about how much you can afford to spend. Why? Mostly because you need to have a set amount of money that you can send to an offshore account and have the ability to forget about it for an extended period of time. In the beginning, do not plan on using this money to pay bills or feed your family. You will need to figure the amount (you have to be willing to consider it lost.) Next, math skills are needed to figure out your investment amounts. After all of your numbers are figured out, stick to them and follow a system that you have paper trailed and found success with! Discipline is something we will talk about frequently. If you wish to be successful, having discipline is key . Remember, no one game, or day of investing is bigger than any other. Investing in sports should be about as fun as watching paint dry. What do I mean? It is a slow process that you take day by day as with any true investments. This also provides stability as it moves up, and also down at a slow rate. If you want some excitement, take out a thousand dollars, and gamble it away in one night in Vegas. This is where the discipline comes in with investing. If things are boring in investing, you are doing things well. If you are in the midst of a nail-biter investment, you may need to reevaluate your spending, and discipline. Mindset goes hand in hand with discipline. Without the right mindset, you will always lose. When you invest on a game and it ends, win or lose you can’t get too high or too low on that one game cause after all its just one game. If you think you are invincible when you win a few games, and slip into gambling while you feel as though you are able to continue endlessly winning, you will soon be under a bridge. When you lose a game, or two you must remain as confident as you are when you win a few in a row. If not, you will be unsuccessful in sports investing and that I promise. Sports investing can really challenge you mentally but you have to be able to deal with the games the same way, win or lose its just a game and just another day of investing. I’m always here with step-by-step information that you can use over a period of time to be successfully investing. I am sure that you have heard the phrase “mind over matter.”, Well I like to say “mind over investing!” And this is a must if your ever going to be successful with sports investing. Is Sports Betting A Form Of Investment? So many people in the world love to follow sports events of all types, ranging from football matches to car races. The fact is that sports are somehow attractive and let the followers’ imagination run free. While watching a regular football match, the followers can try to predict the match results or they can imagine how the match would have been like if the coach decided to place the team players differently than that. This is what leads thousands of sports followers to the sports betting world. Today, sports bets are even easier to be placed, thanks to numerous new online references and sports betting websites and bookmakers that operate in the virtual world of the internet. 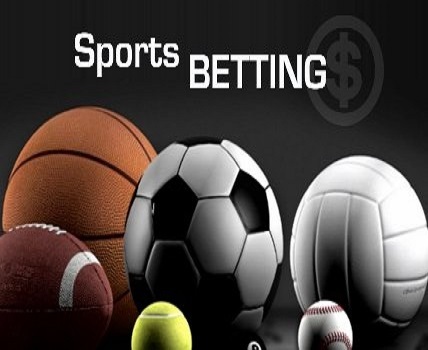 On the other hand, the online sports betting industry is also growing largely thanks to all those sports followers who consider sports betting to be a form of investment. Here, the question should be “is sports betting an investment or just gambling?”. We don’t have to hide the truth, so the only possible answer to this question is that sports betting is a form of gambling or, if you prefer to say it in different words, it’s a way to have fun. Since sports betting is nothing but a form of gambling, the chances to win and to lose are both as high as to 50%. This means that you can either win or lose your money, no other opportunity in the middle of the two. There are many people who claim to have created the latest unfaultable strategy system, which should be expected to help the sports gamblers place bets reducing the margin of loss. When it comes to the casino world, it’s better to be aware that not all existing casinos are the same safe and secured. This means for the gamblers to check the casino’s information about license and other requirements in the gambling industry. For a safe and positive casino experience, it’s recommendable to consider Exclusive Casino: this is a recently launched USA online casino website which is already performing very well, if we consider the number of registered members.